Trucking is an interesting industry. We’ve compiled a list of 15 fun trucking facts you may not know from various trusted sources. We hope you enjoy! 1. The top transported goods in the United States are clothing, food, furniture and electrical and machinery equipment/goods. 2. In 2012, the trucking industry accounted for 12.8% of all of the fuel purchased in the United States. 3. The EPA emission regulations from recent years have cut the exhaust output of heavy trucks and off-road equipment over 95% in the past 19 years. 4. The trucking industry collects, on average, $650 billion in revenue each year. That is about 5% of America’s GDP. 5. 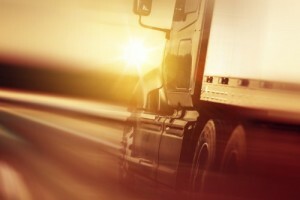 The trucking industry is expected to grow by about 21% over the next ten years. 6. In the United States, there are over 200,000 female long haul drivers. 7. A commercial truck uses, on average, 20,500 gallons of fuel per year. In comparison, the standard car uses, on average, 500 gallons of fuel per year. 8. The primary cause of trucking accidents is failure to stay in the lane. 9. Four of the most common errors in large trucking accidents include: traveling too fast for the conditions, brake problems on the truck, performance error and driver fatigue. 10. According to Career Builder, the mean national salary for truck drivers is $44,500. 11. There are about 3.5 million truck drivers in the United States. 12. There are about 15.5 million trucks operating in the United States today. 13. Annually, trucking accounts for about 70% of all freight transported in the United States. 14. The majority of trucking companies in operation in the United Sates are small businesses. 15. With the clean diesel trucks that operate today, it would take 60 trucks to equal the exhaust emissions of one truck from 1988. As you can see the trucking industry has an impact on almost everything. Next time you see a truck on the road, remember these facts.